This entry was posted in Uncategorized on May 30, 2018 by greybrucelabour. A group of about 35 people listened to 15 and Fairness speaker Deena Ladd explain their new rights under recent changes to workplace law/bill 148. Deena reminded the group that this is a step forward for prosperity, but is clearly at risk if a PC government is elected in Ontario. This entry was posted in Uncategorized on May 17, 2018 by greybrucelabour. Kincardine Pride is pleased to announce that our Sponsor of the Week is CUPE Ontario! Kincardine Pride is pleased to announce that our Sponsor of the Week is CUPE Ontario! Fred Hahn, CUPE Ontario President, presented a cheque to Fort Papalia on May 7 for $1500 at their HQ in Markham. Dave Trumble. It was recently brought to my attention that a number of anti-nuclear groups, led by Greenpeace, held a webinar to give people advice as to how they should work to negatively intervene in our upcoming hearings and also spread misinformation during the election campaign. I was disappointed, but not surprised, to hear this. There is nothing wrong with a difference of opinion or a good debate but to suggest we aren’t operating to the highest levels of safety and protecting our employees, the public and environment is just not accurate. As employees, I know this is something we all take personally. Being part of the Bruce Power team isn’t just a job, and we take pride in being part of something special for the Province, the communities in which we live, and our families. Whenever this happens, I remind myself we have an important story to tell and that facts speak for themselves. Everyone is entitled to their own opinion but not their own facts. We have a positive, factual story to tell. The best way we can all push back against this webinar is to take one-minute right now and add our voice to those who are going to bat for us. 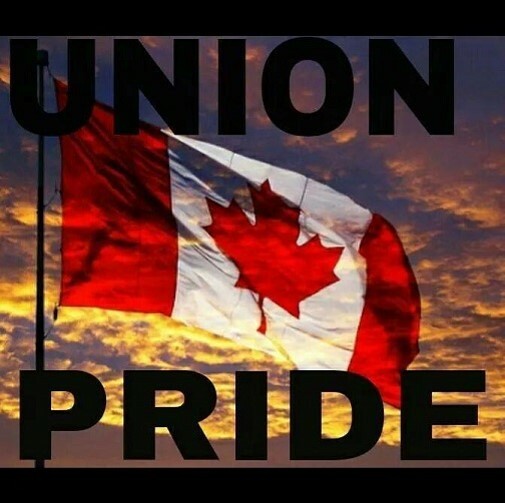 As you know, local nuclear workers and pensioners, safety organizations and union leaders are still looking to gather support for Bruce Power for our 10-year Licence Renewal application process with the Canadian Nuclear Safety Commission (CNSC), and also during the current election. The Bruce Power Pensioners Association, Canadian Nuclear Workers’ Council, the Grey Bruce Labour Council, North American Young Generation Nuclear (NA-YGN), the Power Workers’ Union, The Society of United Professionals, and the Bruce Chapter of Women in Nuclear-Canada have launched an online petition at http://www.supportbrucepower.com&lt;http://www.supportbrucepower.com&gt; so people can show the level of confidence and support they have for Bruce Power as it seeks a 10-year extension to its operating licence. If you feel the same way as I do about telling a positive story, let’s support those who are stepping up for us. You can visit http://www.supportbrucepower.com&lt;http://www.supportbrucepower.com&gt; and sign the petition to show the CNSC there is strong support for our 10-year Licence Renewal application. If you have signed the petition already and want to do more, please consider asking five of your friends to do the same and share the link on social media. Finally, I want to thank these organizations for doing this. They are a strong, credible voice and we won’t let them down as we continue to do what we do best in operating our facility safely to the highest standards every day. This entry was posted in Uncategorized on May 15, 2018 by greybrucelabour. This entry was posted in Uncategorized on May 11, 2018 by greybrucelabour. In a decision handed down today, the Supreme Court of Canada ruled in favour of CUPE and its allies by declaring the Liberal government’s 2009 amendments to the Quebec Pay Equity Act, which undermined women’s right to equality, as unconstitutional. 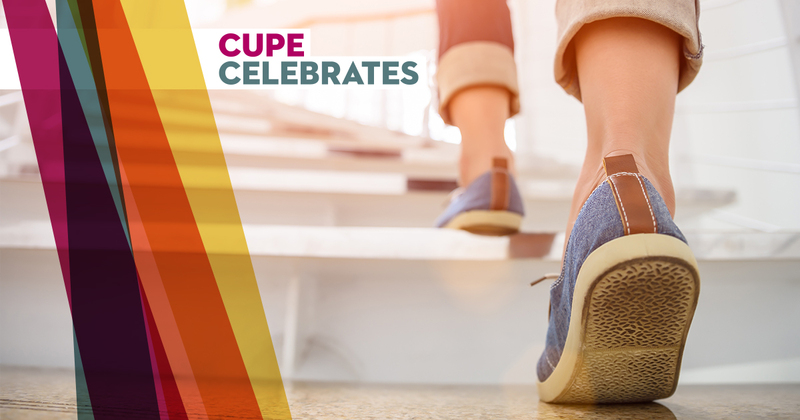 The highest court in the country sided with CUPE, affirming that retroactive pay equity and access to information for female employees must be guaranteed by the legislation. “This marks a major victory for tens of thousands of women in Quebec. The Supreme Court of Canada recognizes that the changes to the Pay Equity Act denied women the right to be paid fairly and according to the value of their work, a right that men enjoy. Finally, after nine years of pointless waiting, the Quebec Liberals have been proven wrong,” said CUPE National President Mark Hancock. “This ruling clearly states that pay equity is a fundamental right. The Supreme Court acknowledges that women’s compensation is still held back by systemic discrimination even today. It has to stop. Today’s ruling represents a major breakthrough,” added CUPE National Secretary-Treasurer Charles Fleury. The Supreme Court confirmed the Quebec Court of Appeal ruling of October 2016 which ruled in favour of CUPE and its union and community allies. The Court of Appeal ruled that the reform of the Pay Equity Act started by the Liberals in 2009 was unconstitutional, as it infringed on the equality rights of female employees. This reform ended retroactive adjustments to maintain pay equity. The Court ruled that the absence of retroactivity allowed employers to pay discriminatory salaries for successive periods of up to five years. Moreover, the Pay Equity Act prevented female employees from asserting their rights. Unfortunately, the Couillard government then petitioned the Supreme Court to challenge this ruling that favoured women in Quebec. The Pay Equity Act was passed more than twenty years ago, and was welcomed by women and labour organizations. The purpose of the Act is to eliminate systemic gender-based discrimination against persons in female-dominated job classes. The Act also compels employers with more than 10 employees to implement pay equity in their company. The 2018 PWU Health and Safety Conference finished up after three days of Sisterhood, Brotherhood, Powerful Speakers and a plan to update H&S Accreditation Training. Congratulations to organizers, participants and facilitators. This entry was posted in Uncategorized on May 10, 2018 by greybrucelabour.